angus.org To view complete pedigree page and EPDs, click on the provided link and enter the Reg. number in the animal Search Box at the top right-hand corner of the page. Actual BW: 82 lbs. Weight Date: 4-10-19, 1250 lbs. When a heifer calf is born you wonder just what kind of cow she'll turn out to be. 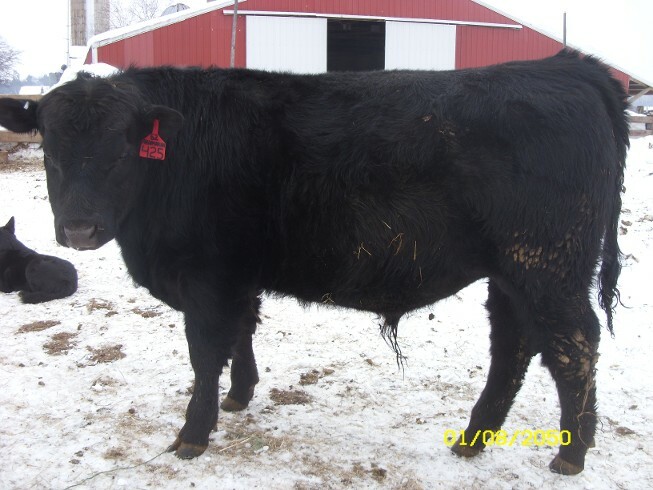 Now she's a 13 year old Pathfinder cow who weaned off her 11th calf at 749 lbs @ 212 days. R-425 gained 3.53 lbs/day on the cow. A.I. sired by Rainmaker 11127. She's bred back, so we'll just hope for the best.